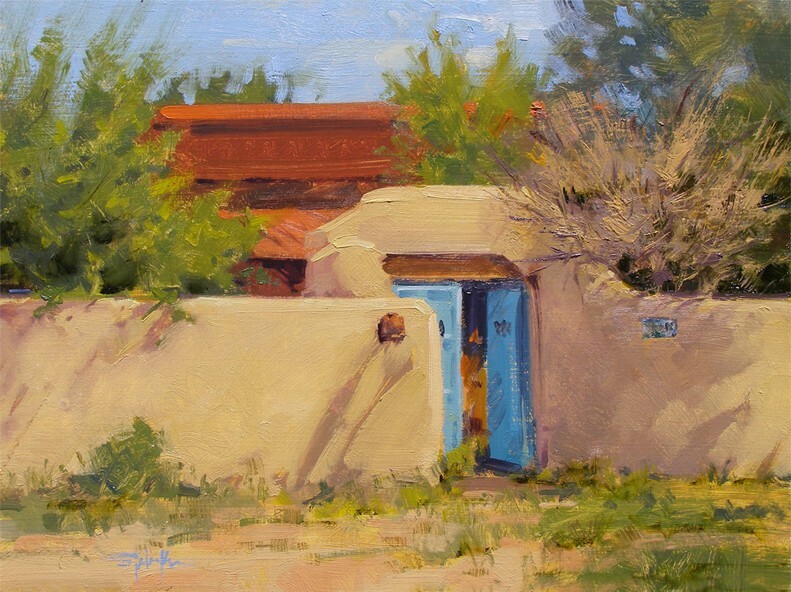 Early in June we made a road trip to Taos, NM to deliver paintings for an exhibit at Total Arts Gallery where I (Spike) have been represented for the last ten years or more. 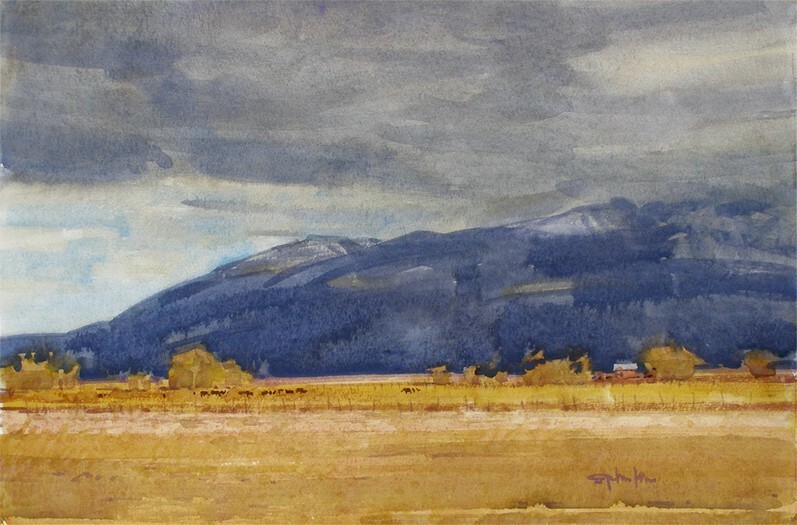 The theme of the show was New Mexico landscapes, an exhibit of both oil and watercolor paintings which were completed on location and in the studio. 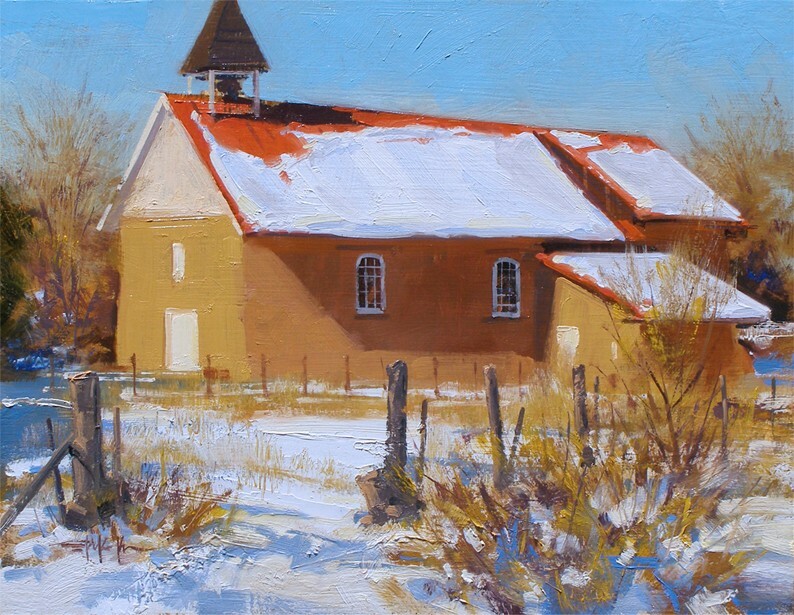 In conjunction with the exhibit reception I promised to do a painting demo for the crowd. Don’t ask me how I got talked into that! 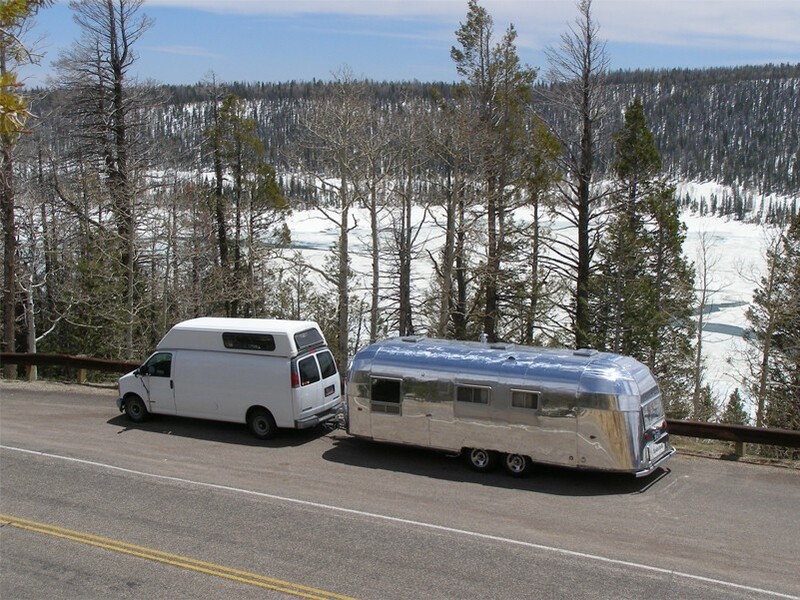 Here are a few shots of “Moonshadow” being towed by my mobil studio. Photos taken along the way between our home base in southern Utah and Taos in northern New Mexico. Not far from home at 10,000 feet altitude US hwy 14 East of Cedar City, UT. A few hours later we went from cold and snow to the hot and dry Arizona desert. 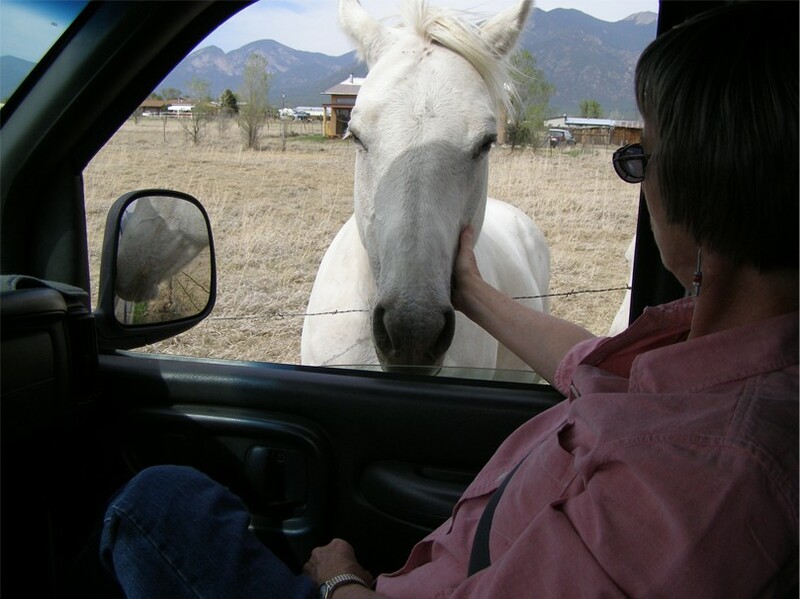 The next day we arrived in Taos to find the horses just as friendly as the people. 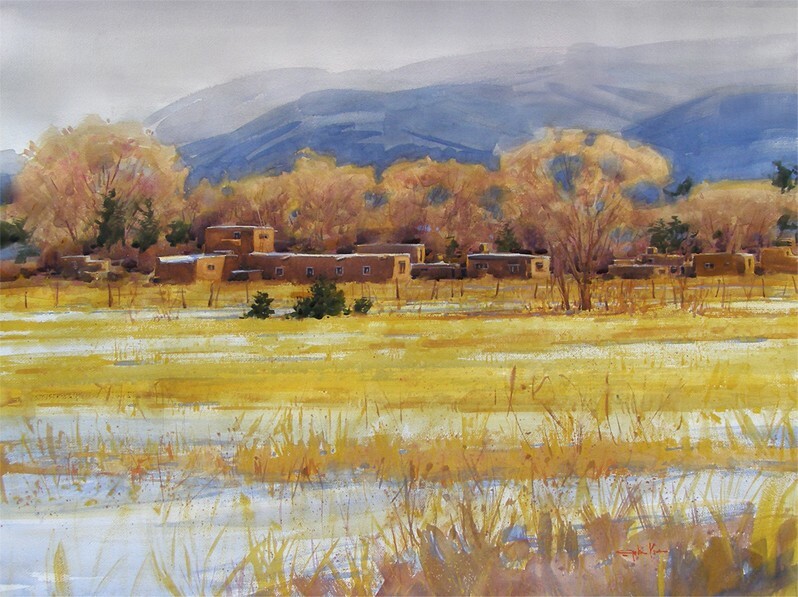 Below are a few of the paintings featured in my Taos exhibit. If you wish to see the entire exhibit, click to start the slide show at the bottom. 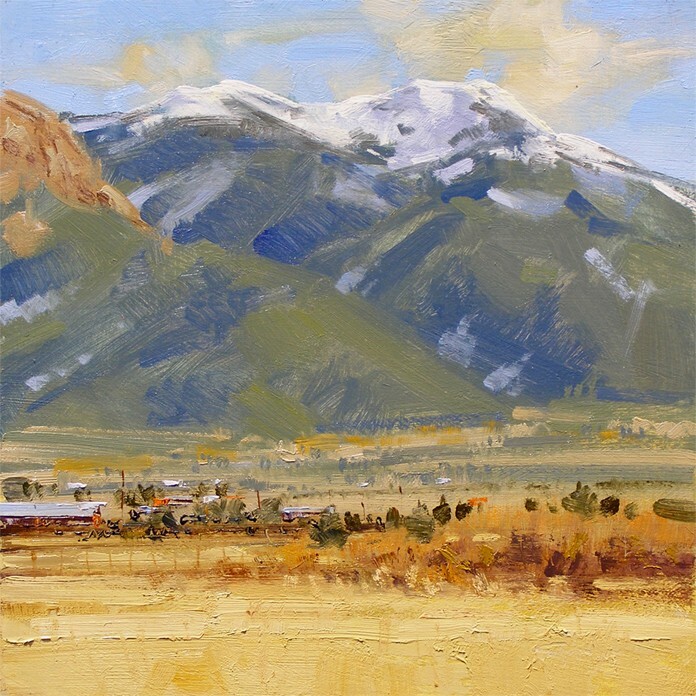 A short video of the demo I did in Taos is located just below the slide show near the bottom of this post. Slide show of exhibit. Some of these paintings have sold. Check with Total Arts Gallery for availablity. Public demonstration at Total Arts Gallery, June, 2011.